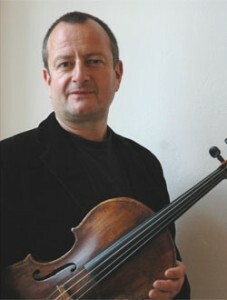 Werner Dickel was a longtime member of the Ensemble Modern, one of the leading groups for contemporary music, as weIl as principal violist of the “Camerata Academica”, Salzburg (under Sandor Végh) and the “Chamber Orchestra of Europe”. He studied with Rainer Moog, Nobuko Imai and Sandor Végh and is now a professor for viola and chamber music at the Wuppertal departement of the Cologne Conservatory. His interest ranges from baroque to contemporary music, he is evenly at home with Mozart and Tango music. Werner Dickel works as a chamber musician and conductor and since 1999 he is the artistic director of the chamber music series “Musik auf dem CronenBerg” in Wuppertal, Germany.